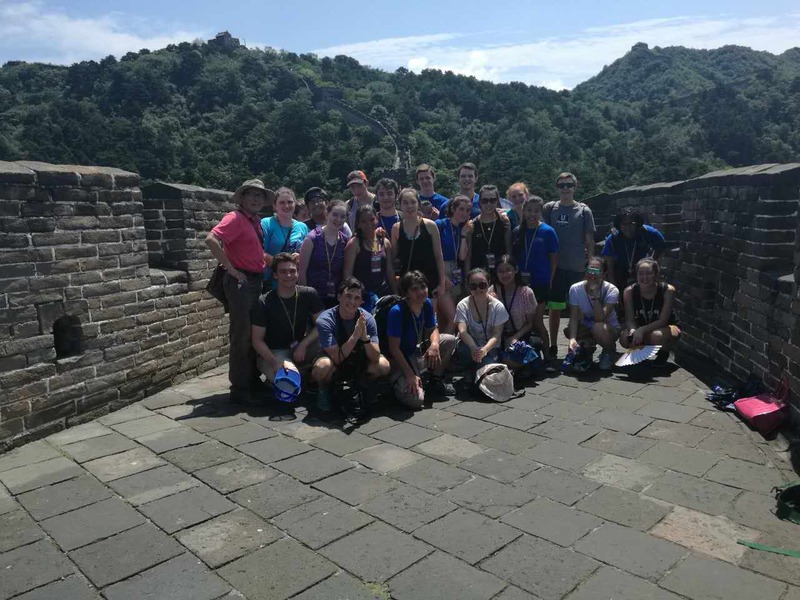 Today, we climbed the Great Wall, explored Beijing’s old Hutong district, and saw a stunning Peking opera show. We woke up early in the morning to an amazing breakfast and blue skies. Since it rained last night, Beijing’s air was unusually clean, and we 受益匪浅－enjoyed the great benefit. Breakfast in Beijing is at our hotel, every day, and consists of a breakfast bar featuring Chinese foods like steamed buns, fried rice, and heated soy milk, as well as toast, fried eggs, and other Western breakfast foods. After eating breakfast, we got on the bus at 8:30 to go to the Great Wall. 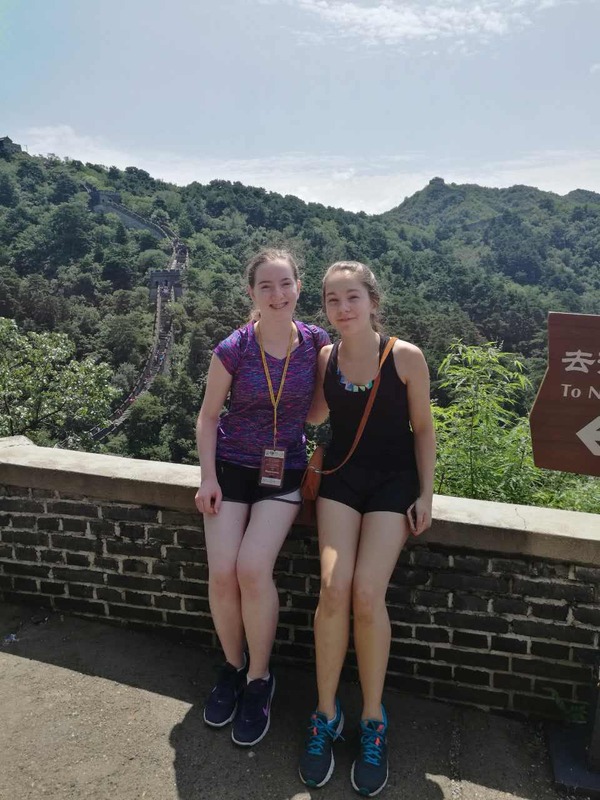 As we got closer and closer to the Great Wall, the rolling mountains and rich wildlife elevated our level of excitement. 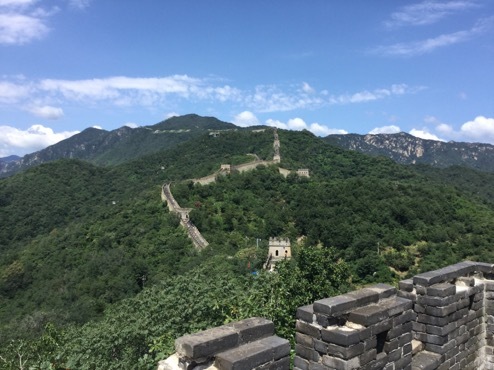 Once we got to the wall’s base, we were greeted by faded architecture, vibrant open-air markets, and endless flights of stairs on our journey to the Great Wall. After arriving, we marveled at pristine wilderness and winding towers as endless ribbons of bricks stretched towards the sky. 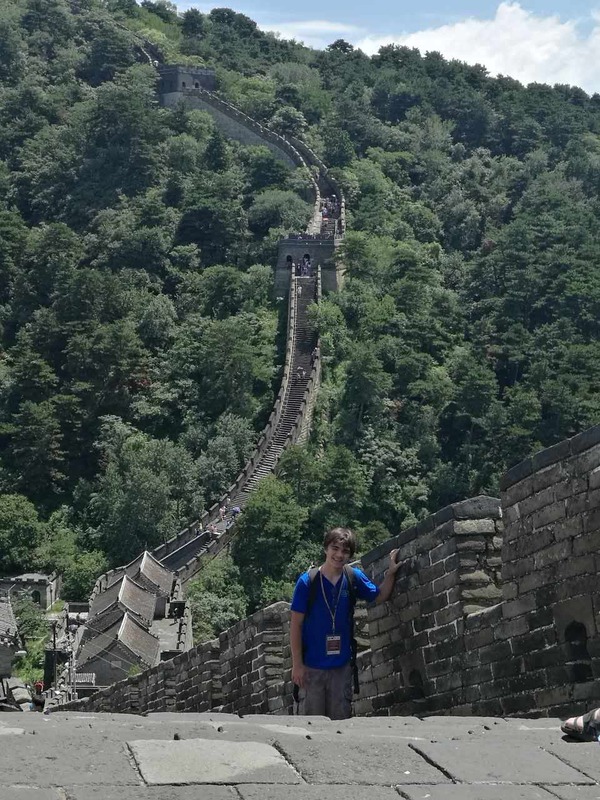 Some of us were able to stand on top of a tower and take in the vastness of the wall we were standing on, a product of thousands of lost lives and centuries of conflict. It was truly a great scene. We ate at a local restaurant for lunch. Like many of China’s restaurants, we ate in round tables of nine or ten, with dishes placed on a rotating glass disk. Unlike the US, where Americans usually pick separate dishes, everyone shared entrees and appetizers, using communal chopsticks and spoons to transport food to their plate. Most Chinese people eat collectively like this when they eat in groups. In this manner, we could all try about a dozen different dishes in one meal, all of which were extremely delectable. We will continue to eat this way for the rest of our trip throughout Beijing and Shanghai. Later on, we went to the Hutong, an old district close to Beijing’s city center. Largely untouched by China’s modernization, the Hutong felt like a scene from 1930s China. It was filled with narrow, snaking alleyways slowly crumbling, closed doors leading to vast courtyards, and elderly people sitting by the street playing cards. We were fortunate to be able to ride rickshaws (similar to a buggy but driven by a person bicycling) throughout the Hutong tour. 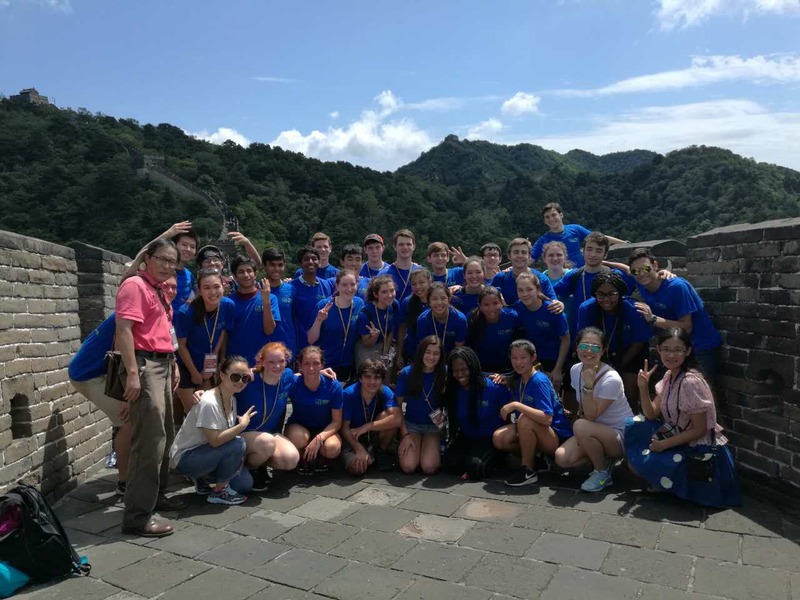 We also visited a siheyuan, a traditional Beijing house, complete with a courtyard and rooms on the edges representing the four cardinal directions and the elements of fire, water, wood, earth, and metal. Since siheyuans take up a lot of space, they are extremely rare in China’s densely populated cities. 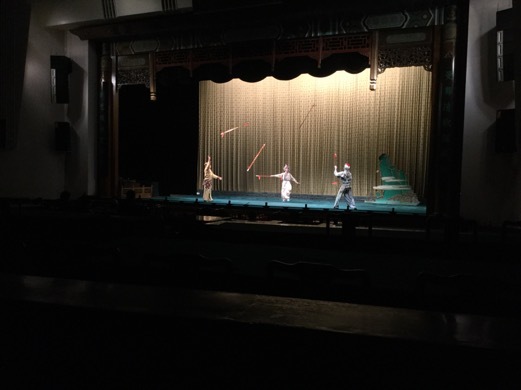 At 7:30, we watched a Peking opera show, complete with graceful and high-pitched dancers, beautifully ornamented clothing, and a mishmash of ribbons, staves, and fake swords as props. The opera show consisted about three short stories. The stories were all fairly short and had relatively simple yet elegant storylines. For instance, one of the stories was about a woman who needed to get past numerous armed guards to obtain the medicine of heaven in order to cure her dying husband. The choreography in this story was quite amazing: at one point, the woman was surrounded by guards all throwing dart-shaped weapons at her, and the woman used her body to gracefully divert the darts back to their original throwers in midair. 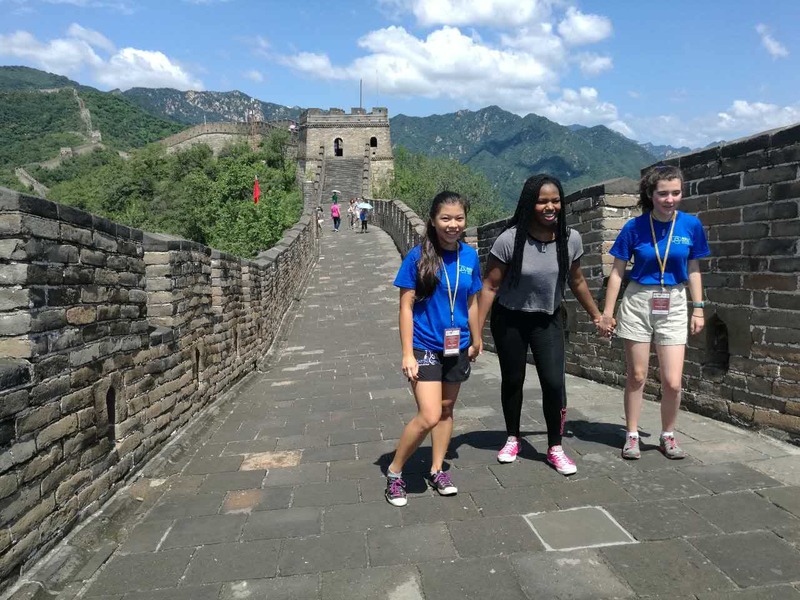 As the events of our day today show, our trip to Beijing has truly been a wonderful experience helping us to better understand China’s unique culture. In one day, we hiked the Great Wall, got a glimpse of Old China, and were greeted by graceful acrobats performing ridiculous tricks. 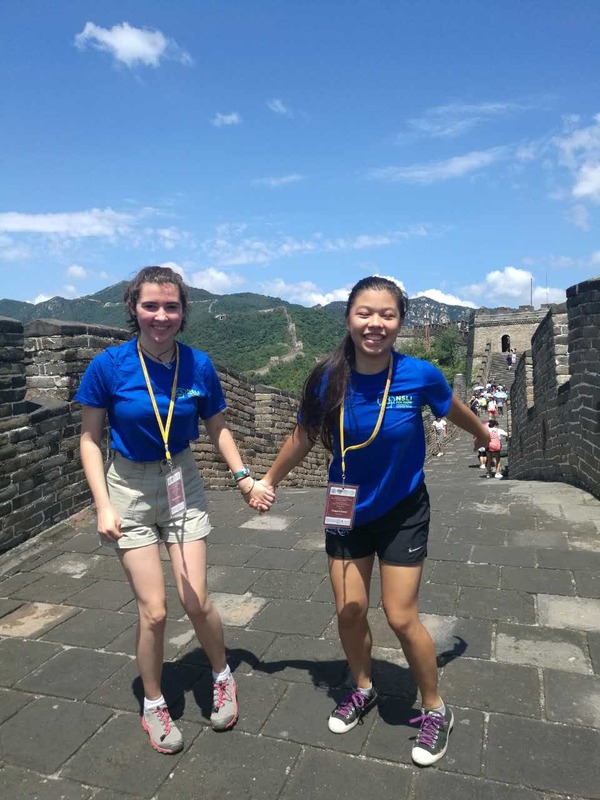 Even though our time at Xiamen University is over, I’m really excited to see more of Beijing. I can’t wait for tomorrow.